This Weekend at Seattle Center! 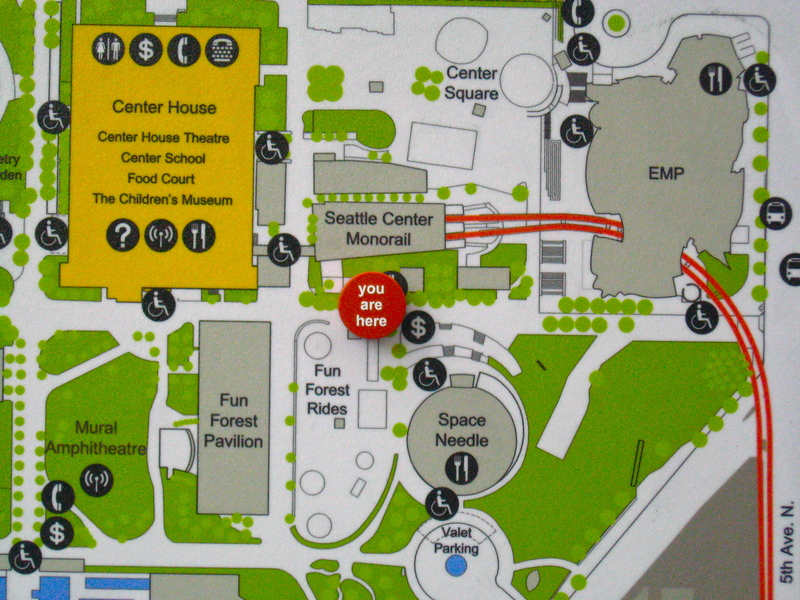 The Seattle Center Monorail provides fast, direct transportation from downtown Seattle (5th and Pine, Westlake Center, 3rd floor) to Seattle Center (adjacent to Space Needle, walking distance to KeyArena, Pacific Science Center, EMP, etc). We are open 9am to 11pm and the monorail departs every 10 minutes. The train can carry 200 passengers at a time, so we can easily provide transportation for large groups. Catch the monorail to save money on expensive event parking, avoid traffic, and enjoy the view from 30 feet above street level! This entry was posted on November 4, 2010 by Megan Ching. It was filed under Upcoming Events and was tagged with All Tharp Pacific Northwest Ballet, Annual Gala Benefit ZinZanni Institute for Circus Arts, Free First Thursday, Greg Laurie Seattle Harvest, Hamlet Seattle Shakespeare, Hmong New Year 2011, Intiman Theatre, KeyArena, Pottery Northwest, PTQ-Paris, Seattle Center, Seattle Harvest KeyArena, Seattle Monorail, Seattle Polish Film Festival, seattle repertory theatre, Teatro ZinZanni, The Scarlet Letter, Three Tall Women, Un-Wedged Ceramic Competition.